Lhasa City Cultural Tour is one of the most popular. Lhasa has been famous not only for being one the highest cities in the world; but also for its breathtaking beauty, unique landscapes and the holy atmosphere of this religious center. Lhasa, the religious, political and economic center of Tibetan, is also known as the Holy Place or the land of Buddha on the Tibetan Plateau. It always refers to the overwhelming culture, unique ethnic groups, fabulous monastery sights, breathtaking high-altitude treks. 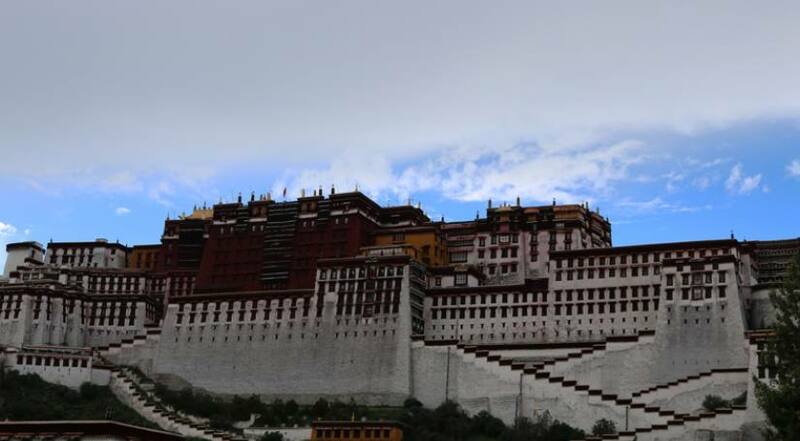 It is a mysterious land when people talk about it, they think about magnificent Potala Palace, chanting monks in red clothes, colorful prayer flags or the highest mountain in the world. The travelers to Lhasa gain remarkable and fascinating experience. It is adventurous and challenging, passing the crystal lakes and snow-capped mountains, and got dull metal satisfactions on the remote high altitude area. Even on the road, visitors witness Tibetans turning their prayer wheels or just on the road of pilgrims showcasing that Lhasa are definitely a spiritual place. These peace and precious moments, with everything in its right place, take your mind far away from everything rushed and unhappy and remind you to go on another tour again. Lhasa is rightly one of the most featured and dreamt about cities in the world. We have long been arranging the Lhasa tour and our company has been well admired of its expertise.